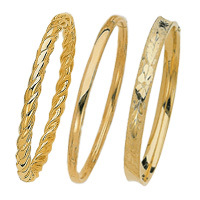 Gold bracelets are versatile jewelry pieces that accentuate your wrists adding an aura of cultivation and class. 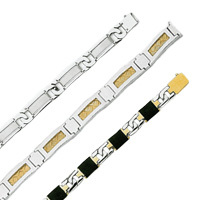 They are perfect gifts for men, women, and children and come in a variety of designs, widths, and lengths. 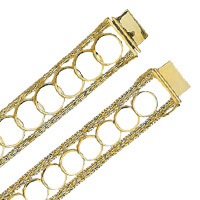 One of the largest selections of gold bracelets in the world awaits you on our site. 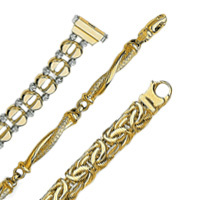 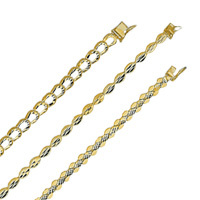 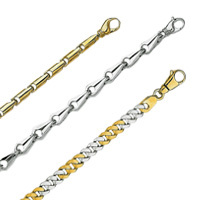 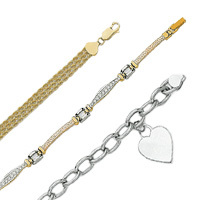 Here, you will find authentic 14k gold bracelets at prices that were once reserved only for retail stores. 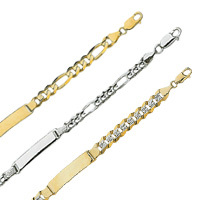 Whether in classic yellow gold, with stones, in two-tone, or in white gold, bracelets are undoubtedly an all-time favorite.